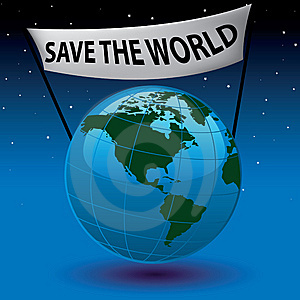 Save the World? Can I Just Like You on Facebook? Although it may seem a bit early, I’d like you to imagine the end of the year office party at your environmental organization. Will you feel like breaking out the bubbly… or canceling the party altogether? What will dictate your mood? How will you know if you are satisfied with the progress you made this year? Will it be that none of your staff had to be laid off? That more people attended your Earth Day street fair? That you all got raises? Or perhaps that you saved more white tigers, reclaimed more acres of native prairie, passed more environmental bills? Looking to your mission statement and organizational goals is helpful, of course. But defining success or defeat is probably more complicated than that. Clearly, there are many ways an environmental organization can define success. How about other people? Do they think you’ve succeeded? Let’s refocus for a second and consider what your donors would describe as your success. Because no matter what kind of mood you’re in at the end of the year, you want your donors to feel like you’re making progress. Because a good chunk of prospects who donate to environmental organizations are inspired by action… your action. They love to see the good you’ve already proven you can accomplish. And most of all, they love to see what – specifically – their contribution to your organization has done to positively impact the world. So, before you can demonstrate the wonderful progress you’ve made… you have to define what your success will look like. Sometimes looking for success can appear in odd places. Such as in your communication plan. By tracking how well your communications are working, you are indirectly analyzing your key indicators of success. Have a staff meeting and define success. Staff decides… More preserved acres of native prairie! Need to buy more acres of native prairie? Then we need more money. Need more money? Then we need more grants and/or donations. Need more donations? Then we need more members and donors. Consider this. A Like or two on Facebook does more than make you feel popular. Everyone already knows the earth is in rough shape. And a thousand other environmental organizations are competing for the same people to spend 0.1 seconds and hit the Like button. But this person, who just hovered their thumb over their iPhone, choose you. And through that Like, or retweet, or share… what they’ve really done is spoken for you. In today’s world – however much we wish it weren’t so – the stellar scientific and preservation work you’re doing doesn’t speak for itself. And in a lot of cases, even YOU speaking for yourself doesn’t cut it. But… being popular on social media? And that’s where your communication goals come in. First, track how you’ve done so far. Convince some of those scientists you have on staff to help you analyze the algorithms most social networks provide for you. Track how many Facebook updates you posted in week, how many of those Likes turned into new hits on your website, and how many of those new hits turned into new donations. Then, take a look at the difference between the successful posts and the not-so-successful ones. Examine your wording, your images, the time of day you posted, and the day of the week you posted. Do this across all your communication channels and social media. Analyze your fundraising appeals and email campaigns, radio spots and print ads. Change a headline or a teaser, and test it again. Finally, map out a plan for the rest of the year. Sketch out the number and type of posts, newsletters, email fundraising campaigns, articles, case studies… Make a plan for who is going to create the content, and most importantly, budget the money and time to execute this plan. And then? Picture how you’re going to celebrate at the end of the year party. That way, when you pop the bubbly and get inappropriately sloppy, at least you’ll have a solid reason to do it.